Masked robbers smashed the doors of a High Street bank on Wednesday night while staff were still inside. 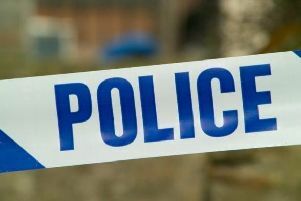 The crime took place at Santander in Berkhamsted at around 11.20pm. Two men entered by smashing glass in the front door. They then took a quantity of cash and made off in a white pick-up style vehicle, towards Tring. Two members of staff were inside the bank at the time but were uninjured. The offenders are both described as white males. One is believed to be around 6ft tall, aged 30 to 40 years old, and of medium build. He was wearing a white top and blue jeans. The second is described as being around 5ft 8ins tall and of medium build. He was wearing a dark top. Both were wearing balaclavas. Alternatively, you can contact the independent crimefighting charity Crimestoppers, anonymously, on 0800 555 111.